The Peoples Democratic Party, PDP, has described the last minute denial of the use of the Old Parade Ground, Abuja for its Presidential mega rally allegedly by the President Muhammadu Buhari-led administration as the last kicks of a dying horse, saying regardless of the position of government, the rally would take place before Saturday February 16 election. The party said having paid for the venue; it was shocking that government could resort to play petty by prevailing on the Federal Capital Territory Administration, FCTA to grant the use of the same facility to the All Progressives Congress, APC, Federal Capital Territory chapter on the same day. Addressing newsmen in Abuja yesterday, National Publicity Secretary of the party, Kola Ologbondiyan described government’s action as a sign of what he called the growing frustration in the camp of President Buhari ahead of the election. 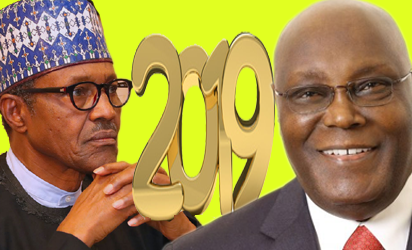 It also called on the global community to note that “this latest assault against the people’s candidate is also borne out of direct ill-will and hatred against him by President Muhammadu Buhari as well as his handlers, who have sought all ways to drag him down, since they realized that Nigerians have reached a consensus on Atiku Abubakar, as the next President of our country. The statement continued: “From reports reaching us, it is not also out of place for the Presidency and the APC to use this measure to test the will of Nigerians as precursor to their rigging plots. Fielding questions on the sideline of the press conference, the publicity scribe said the erection of a broom statue at the entrance into the Abuja city centre is an indication of how low incumbent administration thinks. “That broom statue is all the Buhari government has been able to achieve in the past three and a half years,” he noted, adding however that the PDP government would have to spend money again to bring down the structure upon its assumption in power.